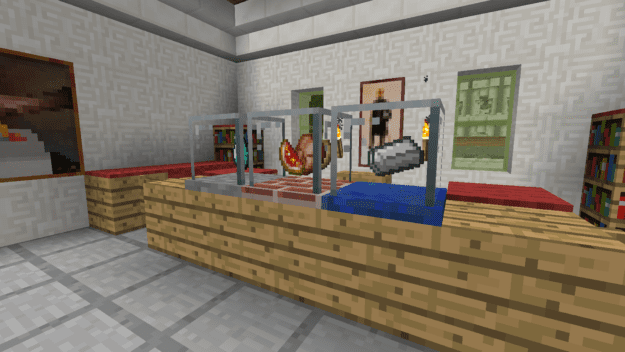 The Vending Block Mod is a new mod available for the latest patch of Minecraft 1.7.10 and 1.8. The mod is currently bug-free, is easy to install and can be compatible with both Minecraft single player or server multiple player. The Vending block is a simple tool to aid in unassisted trading of items in Minecraft. It works excellent in multiplayer servers and acts as a replacement for villager merchant systems. It works just as its name suggests and vends items for currency. It can also tailer to your environment by changing the base to whatever block type you choose. The mod is compatible for Minecraft 1.7.10 and 1.8. As the vendor you can right-click the machine to bring up the GUI. In there you can set the item you’re selling and the price you’re selling it at. Here you have to physically leave the items you want to buy in the buying slot. Then just stock up the item in the storage slot and it’s ready to go. From here buyers can then right-click to purchase what you have listed for sale if they have the item you want to buy. And for added safety the vending machines can only be broken by the person who crafted it. The latest update for the Vending Block Mod ported it to Minecraft 1.7.10 and also added in range of new items.